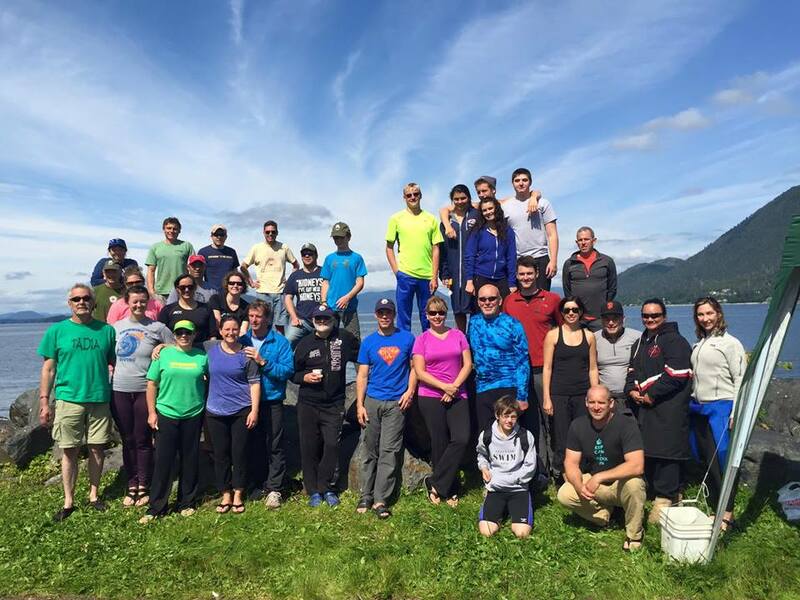 2015 CHANGE YOUR LATITUDE – Course and Event Records Under Sunny Skies! Records were broken in registrations, number of “naked” swimmers, and on the course in the 8th Annual Change Your Latitude – 57° North Open Water Challenge! With 39 swimmers jumping in and 5 in the water with no wetsuits participants enjoyed a beautiful day of swimming. Several Course records were broken on Sunday with both 10k Men’s and Women’s records being set by Leif Calvin and Kelsey Liu. Ashley Forsyth shattered the 6k record by 30 minutes, with Philip Owen breaking the 3k Men’s record and Sitka’s own Tracie Harang set a new mark for the Women’s 3k course. 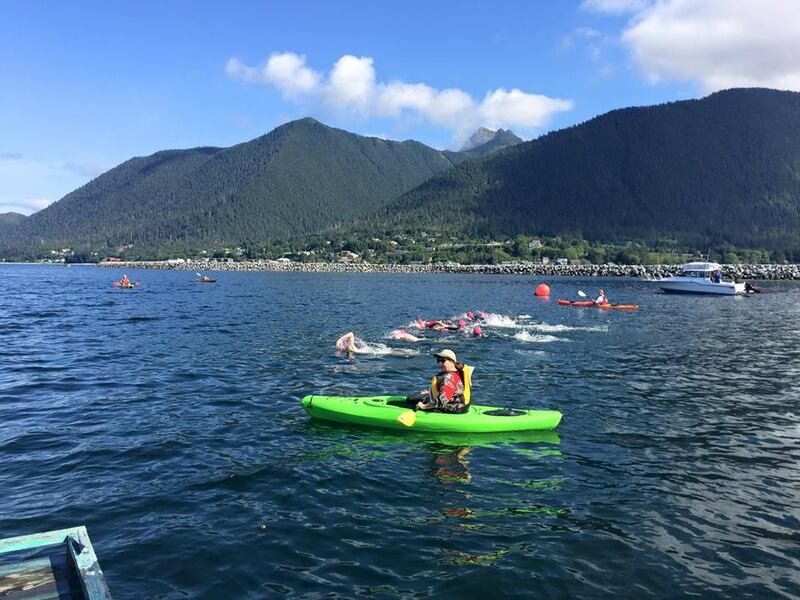 Under 18 3k standards were set for the first time with Sitka High Swimmers Will Pate and Skylar Moore completing the course for the first time with impressive swims. The new 1k course also has new times standings with swimmers Ellen Chenoweth, Grant Turner and Jack Weaver (under 18) in top spots.